Peter has been with Access for over 8 years and holds the position of Head of Culinary Studies. 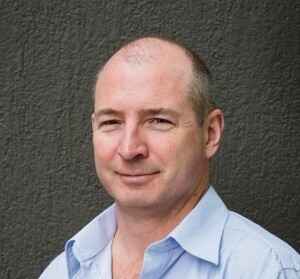 Peter also became a Director of ACCESS in 2018. Peter is an authority in the area of work-based cookery training and assessment. Peter has had a long and distinguished career in cookery having worked locally, nationally and internationally for over 25 years. Peter’s understanding of how commercial kitchens operate and his expert knowledge on how to get the best out of apprentices has combined to develop an industry-leading work-based training program that has achieved outstanding results. Peter is a strong advocate of using technology to improve the learning experience for students and teachers. Peter was instrumental in the development of an innovative, industry-leading Training Management System (TMS) for Vocational Training using the FileMaker Software development program. Peter is a strong advocate for the Culinary Industry in the ACT, regularly giving up his time to coordinate field trips and training sessions to promote the wonderful produce and talent we have in our region. Peter is also very active with the Australian Culinary Federation and regularly assists them in conducting and promoting industry events. Peter is a committee member of the Association of Providers of Training Services (APTS) an organisation committed to improving the quality of Vocational Education and Training in the ACT. Peter is particularly strong in the areas of Apprenticeships and Recognition of Prior Learning (RPL). Peter can be contacted through the contact us portal on this website.